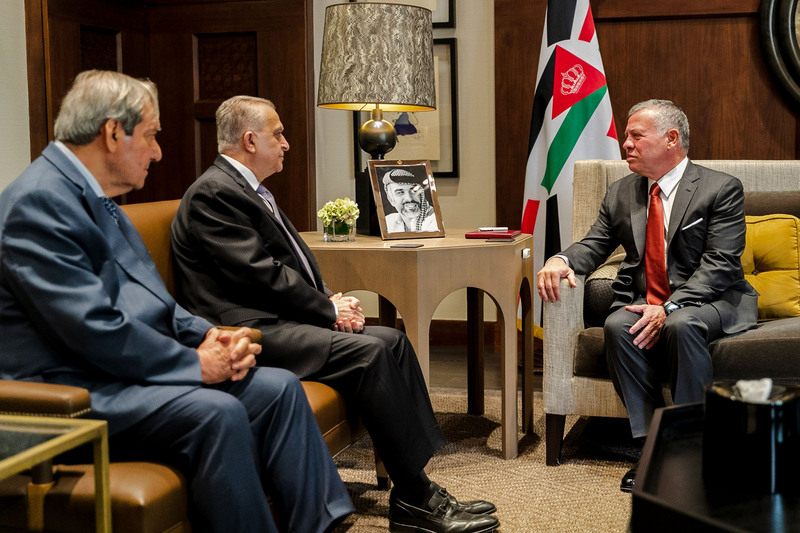 His Majesty King Abdullah received Iraqi Foreign Minister Mohamed Alhakim at Al Husseiniya Palace on Sunday and discussed the strong ties between Jordan and Iraq. His Majesty also stressed Jordan’s support for Iraq’s efforts to bolster its security and stability, while fulfilling the aspirations of its people towards further prosperity and progress. The King asked Iraqi Foreign Minister Alhakim to convey his greetings to President Barham Salih and Prime Minister Adil Abdul Mahdi. Foreign Minister Ayman Safadi, Adviser to His Majesty and Director of the Office of His Majesty Manar Dabbas, and Iraq’s Ambassador to Jordan Safia Al Suhail attended the meeting.